Fire Risk Assessments are investigations carried out in the workplace in order to determine the chance of fire occurring. Fire Risk Assessments are specialist investigations that focus on the factors and type of activities carried out in the workplace that could potentially cause fire. The fire assessor will then make recommendations upon changes and improvements needed in order to minimise the fire risk and ensure the safety of the people and office. 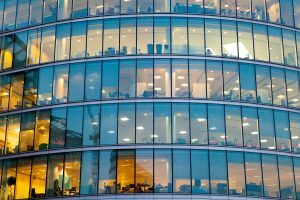 Are Offices at Fire Risk? Office premises are considered to be at a moderate fire risk do to the nature of the business sector. What puts offices at fire risk is the inflammable level of the goods being stored and the activities undertaken by the staff. Having regular Fire Risk Assessments and Reviews, apart from fulfilling a legal duty, would also make the office less prone to catching fire. It is estimated that following a serious fire 75% of SMEs will go out of business within 2 years.